I’ve been lusting over this palette for some time now and finally thought it was time to get my mitts on it. 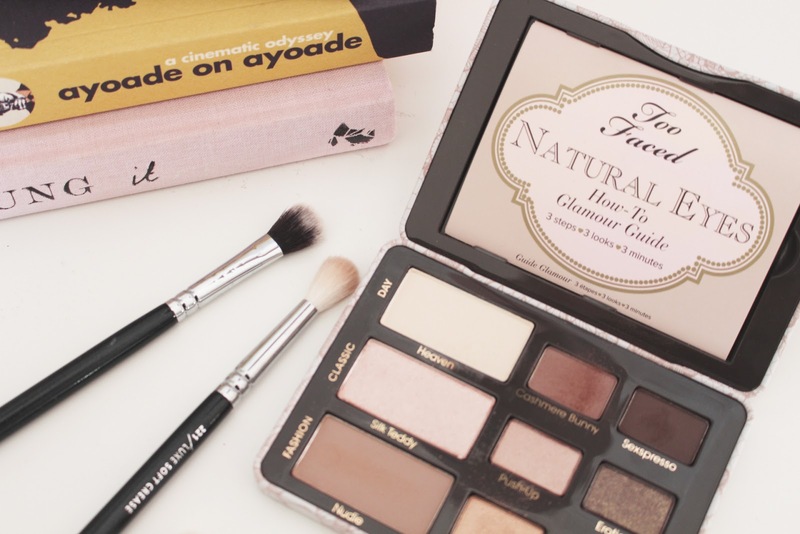 If you know me personally or have seen my makeup collection, then you know that pretty much all of my eye shadow palettes are neutral and I’ve tried so many that I do think it’s hard to be blown away my a neutral palette as a lot of the colours can become repetitive and underwhelming. The matte colours in this palette are pretty simple yet flattering to use in the crease, especially for blue eyes due to the fact that they’re all warm toned. The shadows are all really silky and apply really smooth to the eyelid, which is a good feature with matte eyeshadows as occasionally they can be chalky and difficult to blend. The colour that I find myself drawn to has to be chashmere bunny, it’s a medium brown that almost sits on the fence at being a warm and a cool tone brown – When I look at it in certain lights it almost has a sort of purple undertone to it, which is really unusual. I’m genuinely in love with the shimmer eyeshadows in this palette, they’re ridiculously pigmented for shimmer eyeshadows and really creamy in texture. My favourite so far has been push up and honey pot as I think they’re really wearable colours and can be incorporated into both day and nighttime looks. The colour that really interests me is Chocolate Martini (which you can’t see in the photo above – sorry!) as it’s a really dark rich brown colour with a gold shimmer and flecks of gold glitter throughout it. In all honesty shimmer eyeshadows scare me a little, however the shimmer is distributed really evenly and delicately when applied. All in all this palette has been worth the money and has impressed me within the first couple of uses. Hopefully it will continue to do so as I begin to use and experiment with it further.